Accidentally deleting precious memories from your external hard drive is not esoteric. 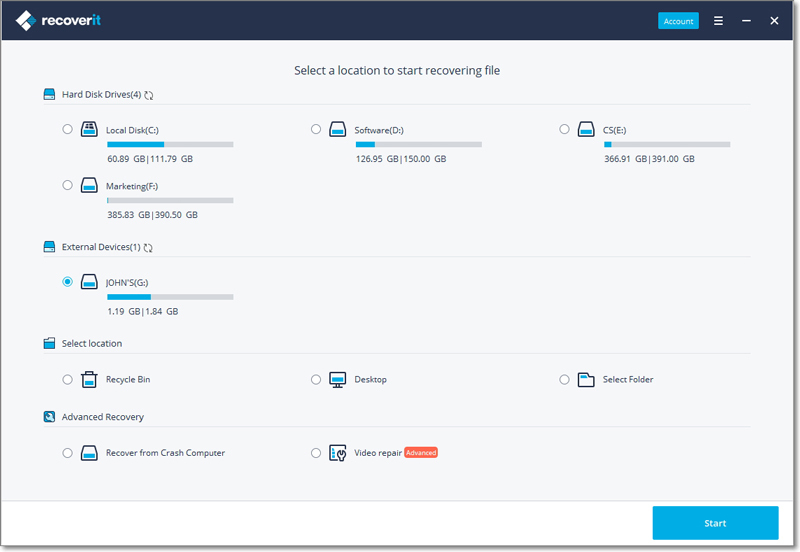 Download Recoverit Data Recovery and undelete pictures from G drive right now. How can I restore my deleted pictures? I have a G-Technology 500G G-Drive Mini external hard drive, which contains many of my valuable pictures and videos on it. Today I carelessly deleted some of them and I do not have any backup. Now I just need to get my deleted files back from G-Technology external hard drive. Can someone help me please? Though G-Technology external hard drive is fast and safe, data loss is still the inevitable. Files on it can be lost because of intentional or accidental deletion, improper operation, formatting, virus attack and even system error. Anyway, the deleted files are still on G-Technology external hard drive. They are just marked as inaccessible data by system. Once new data on hard drive overwrites them, they will be lost permanently then. So, chances are great of recovering deleted files from G-Technology external hard drive as long as you do not use external hard drive anymore and take actions immediately. Usually, when we delete photos and videos from a connected external hard drive on our computer, we are able to restore them back via Recycle bin or Trash. And the steps are as follows. Double click Recycle bin on the desktop. Select the photos you want to undelete. Right click them and choose "Restore". 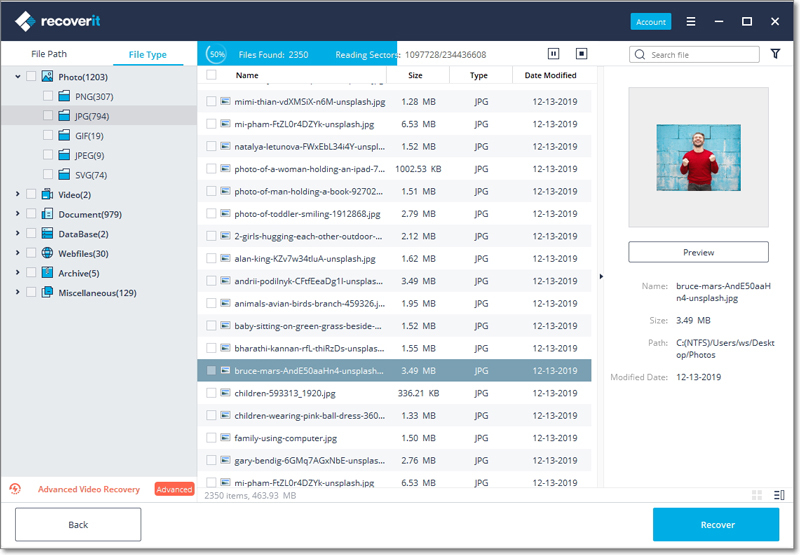 Find the recovered photos on your external disk. If you remember the image name, you can directly search Recycle bin and find the wanted one in the least possible time. However, sometimes we totally delete all data by pressing Shift + Delete or empty the Recycle bin or Trash. 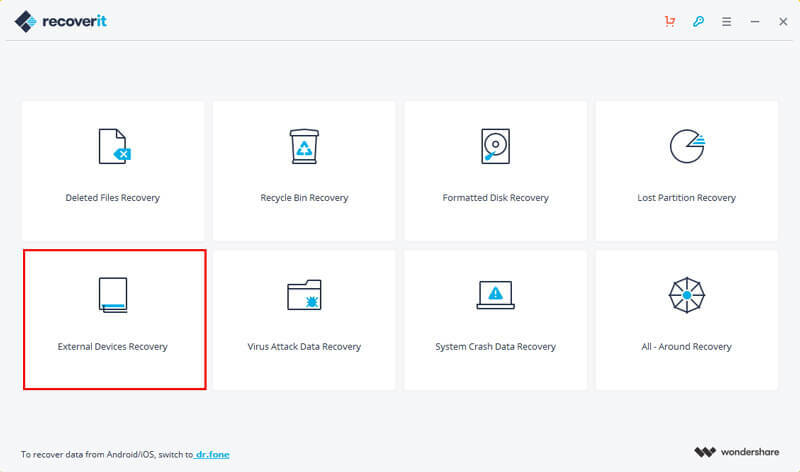 After doing such operations, it would not be possible to undelete data without a data undelete tool like Recoverit Data Recovery. Out of many other unknown reasons, the deleted photos and files can't also be found there, let alone recovering them. The good news is that an undelete program can still accomplish the data retrieval. Recoverit Data Recovery is a wonderful G-Technology external hard drive data recovery software that helps you reclaim lost data and recover deleted pictures & videos with ease. Moreover, it also supports to recover files that are formatted or corrupted from a hard drive. It is fully compatible with a variety of external hard drives, including G technology drive. 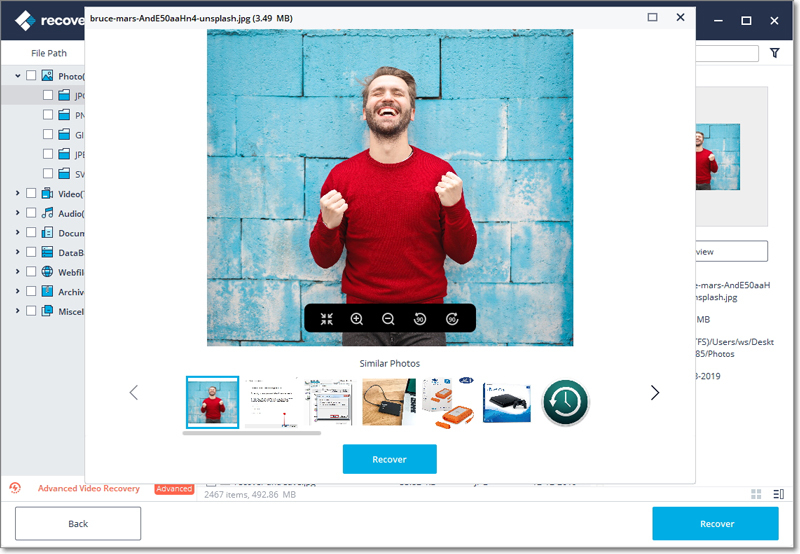 By using it, you’ll get back files like photos, videos, audio files, documents and more. Recover lost or deleted files, photos, audio, music, emails from G technology external hard drive effectively, safely and completely. In this video tutorial, the simples steps on how to recover deleted files from external hard drive will be demonstrated to you. Want a text-based guide? Move on to the next section and get to know how to undelete photos step by step. Now, free download, install and launch this photo undelete software to embark on the bright trip of deleted files recovery. Here we take Recoverit hard drive data recovery for Windows as an example. Mac users please get the Recoverit for Mac to process the hard drive data recovery with similar operations. This page, Recover files from external hard disk on Mac, can also come in very handy for you. To recover deleted or formatted files from G-Technology external hard drive, you can select "External Devices Recovery" mode to start. Here you just need to select the G-Technology external hard drive where your photos are deleted and click "Start" to start a quick scan. Note: Please ensure that G-Technology external hard drive has been connected to your PC and can be recognized as a hard drive on computer. Your G drive will be quickly scanned to look for deleted photos. After it, if files can't be found, please go to "All-Around Recovery" mode to start a deep scan for more deleted or lost files. All found files on G-Technology external hard drive will be displayed under corresponding categories in the window. You just need to mark files you want to retrieve from G-Technology hard drive and click "Recover" button to save them back to your computer. Note: Please do not save the recovered data back to your G-Technology external hard drive immediately after recovery. Accidentally deleting files is one of the most frequent mistakes happening every day the world over. When you face it, take it easy. Chances are that you are able to undelete them with hard drive recovery software, even if the files or photos are deleted from an external hard drive. But if you can, it is still suggested that you take regular backups of your important data and take care of every deletion when you use any storage device. Hope each of you never fall victim to data loss. If so unluckily, use Recoverit Data Recovery to get them back in less than no time.